The U.S. Army Chemical Materials Activity (CMA) manages the U.S. stockpile of chemical weapons, enabling the Army Warfighter to focus solely on the National security mission. Headquartered at the Edgewood Area of Aberdeen Proving Ground, Maryland, CMA assesses and destroys recovered chemical warfare materiel. The activity also continues to maintain safe and secure storage of the Army’s two remaining chemical stockpile sites at Pueblo Chemical Depot (PCD), Colorado, and Blue Grass Chemical Activity (BGCA) at Blue Grass Army Depot, Kentucky, until those stockpiles are destroyed by the Program Executive Office, Assembled Chemical Weapons Alternatives. CMA completed its mission of destroying the chemical stockpiles at seven locations, as shown on the map. 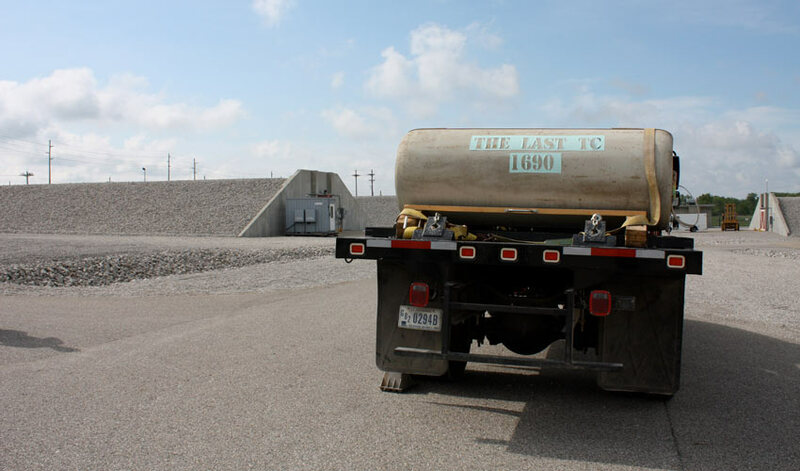 The Chemical Stockpile Emergency Preparedness Program (CSEPP) works closely with state and local governments and the Federal Emergency Management Agency to educate, prepare and protect communities surrounding the stockpile sites. The CMA director acts as the implementing agent, delegated by the Department of Defense, to ensure the Army adheres to international treaty requirements in compliance with the Chemical Weapons Convention. In 1992, the Army combined elements from the former U.S. Army Soldier and Biological Chemical Command and Program Manager for Chemical Demilitarization to consolidate the Army’s chemical agent, munitions storage and demilitarization functions under a single organization. Formally called the U.S. Army Chemical Materials Agency, a major subordinate command of the U.S. Army Materiel Command (AMC), CMA was established to manage the nine chemical weapons stockpiles, assess and destroy recovered chemical warfare materiel, and manage CSEPP in the communities around the stockpile sites. In December 2006, the Agency successfully completed destroying the Nation’s former chemical warfare production facilities, and finished destroying the binary chemical weapons inventory in November 2007. By January 2012, all chemical weapons were destroyed at seven of the nine U.S. stockpile sites, eliminating nearly 90 percent of the original declared chemical stockpile. In July 2012, the Agency was redesignated from a major subordinate command to an AMC Separate Reporting Activity and renamed the U.S. Army Chemical Materials Activity. Today, CMA continues to support Soldier readiness by protecting the Nation’s chemical weapons stockpile at the two remaining sites, and safely assessing and destroying recovered chemical warfare materiel using transportable technologies. 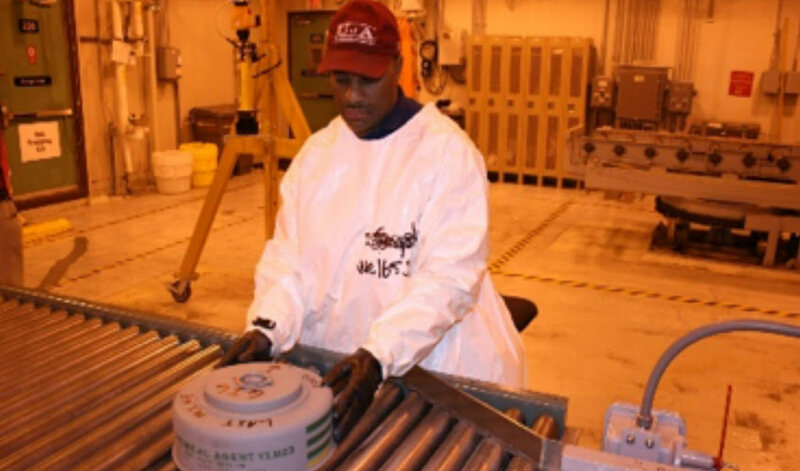 A munitions handler guides the last M23 VX land mine in the Anniston Army Depot stockpile as it moves on the conveyor to the destruction process. The last ton container from the Newport Chemical Depot stockpile is ready for delivery to the Newport Chemical Agent Disposal Facility.